1. Small and compact in size; complete unit fits inside the lantern head. No bulky mounting box or post addition necessary. 1. Large; requires steel mounting box(8x8x3) or bulky post addition to house the control box. 2. 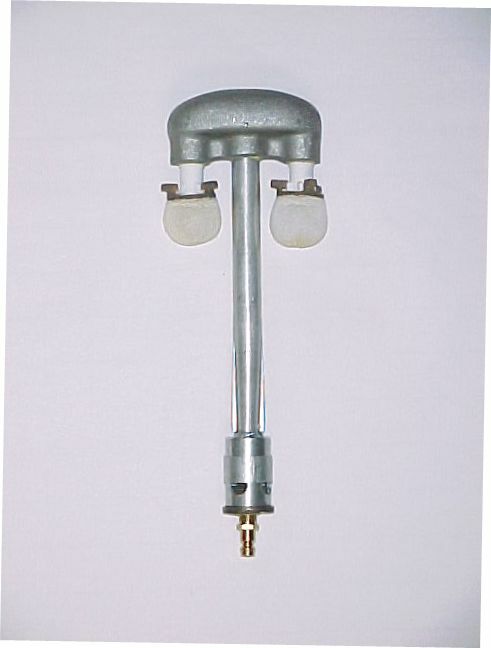 Unlimited lantern choices; our igniter can be used in virtually any type of gas light available. 2. Limited lantern choices; only fits select models. 3. Works with both mantle burners as well as open flame burners. 3. Only used with open flame burners. 4. 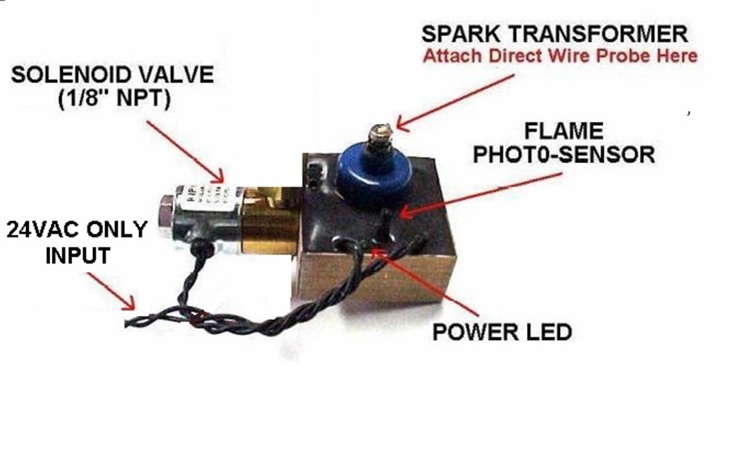 Optional QuickConnect System; a modular gas light igniter/burner system that plugs into a gas light head as easily as a light bulb. This allows for easy and quick removal of unit for service or repair, as well as a quick and easy change between manual open flame and mantle burner setups. 4. No QuickConnect options available. 5. Completely Automatic; turns on at dusk and off at dawn. 5. Manual switch; requires operator to turn on/off switch. 6. Uses less power; only 2.4 VA ( 1VA = 1 Watt) which is approximately 100mA @ 24 volts per igniter (up to 16 igniters to one 40VA transformer). Download our Transformer Selection Chart for more details. 6. The electronic ignition system for each lantern requires 15VA per lantern which is approximately 1/2 amp (.5) @ 24 volts per lantern (only 2 igniters per 40VA transformer). 7. 24VAC or 6V Battery models available. 7. No Battery model available.